In Petra, there is a huge 2,000-year-old pool. This waste of water is a sign of power in the desert. Archaeologists reveal the mosaics that were from the Apostle Paul’s era. The excavations of the Philistine Gath has discovered similarities to the Cypriot cities. The 6,000-year-old fortress that was discovered in Jordan displays signs of an advanced early society. The most recent excavation at Petra has unveiled an advanced irrigation system and water storage systems that helped the desert city civilization to survive. They were as well able to maintain a garden that included a huge swimming pool, ponds, and fountains. 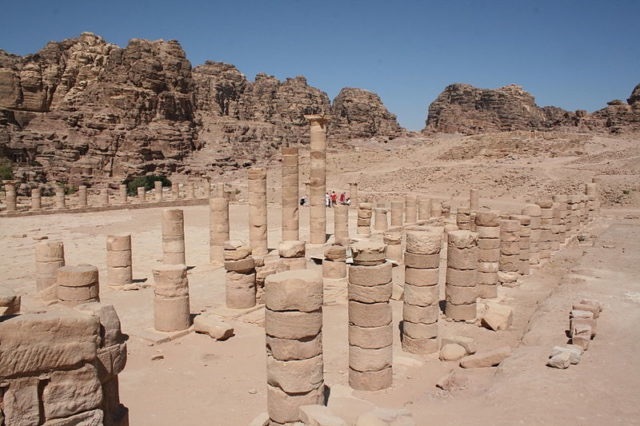 The engineering achievements and other luxuries are clear evidence of the ancient Nabateen capital’s former glory and wealth around 2,000 years ago. Petra is possibly best known for the sandstone canyon that goes directly to Al Khazneh. This place was seen the the film Indiana Jones and the Last Crusade where two hero archaeologists, played by Sean Connery and Harrison Ford, had ridden out of the canyon and into the Treasury with their quest for the Holy Grail. Yet 2,000 years ago Petra was famous for different reasons. It had been one of the most famous water stops in the Middle East where the camel caravan routes linked to distant cities. Now the archaeologists are finding the Nabataean capital located in southwestern deserts of Jordan. It was once beautiful with a delicate, irrigated garden. It most likely featured paths that were shaded by date palms, grasses, trees, and vines next to a large 44-meter wide swimming pool. The Nabataean’s capability to tame nature, and the consumption of the precious resource of water, was pure propaganda to display their wealth and power. They were able to do this since they invented the clever hydraulic system that allowed the people to not only reserve enough water for their own requirements. It also had lavish gardens with fountains and a pool. Water was very scarce in the desert waste – it was usually used for only necessity. 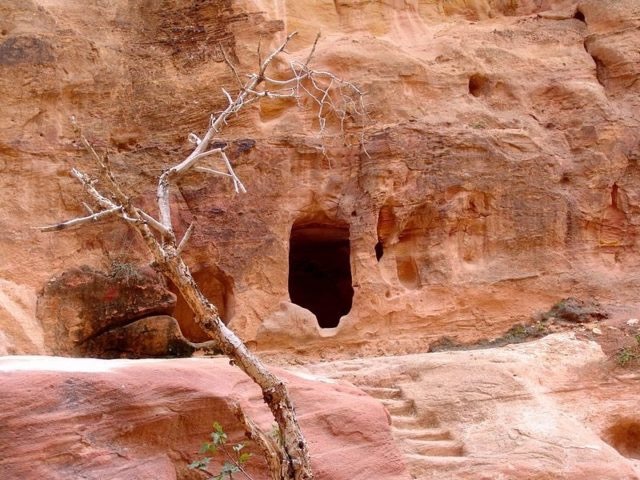 The ongoing diggings in Petra have unveiled a shaft that seems to have guided water more than 10 meters down for the artificial conveyance of water to the pool level. The archaeologists have as well discovered underground channels that helped in controlling runoff during the rainy season. This reveals the true quality of the system for the very first time. The very complicated system of channels, underground cisterns, ceramic pipelines, and water tanks that also filtered the water allowed the people of Petra to be able to cultivate crops, produce wine, harvest fruit, and manufacture olive oil. They could as well create a lavish garden with a large pool in the middle of the desert. Several cities of the ancient world had rivers whose large waters nourished and protected them. Yet for Petra, situated on the northwest border of the Arabian Desert, this city rose to importance because of their lack of water. 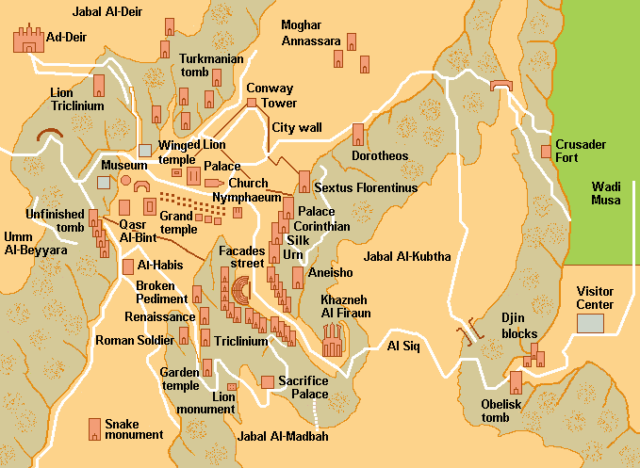 Petra was located at the middle of two important trade routes. One had linked the Red Sea with Damascus. The other was linking the Persian Gulf with Gaza, located on the shores of the Mediterranean. Another was linking caravans from the Gulf loaded with expensive cargoes of spices. They had to cross the large wastes of the Arabian Desert, traveling for weeks before they would eventually arrive at the narrow canyon on Petra. This city was a sign of lodging and food and as well refreshing cool water. The citizens of Petra did not provide these comforts to visitors with no charge. Besides paying for lodging and the food, they had to give gifts to the guards, the priests, the gatekeepers, and the king’s servants. Yet the high prices of perfumes and spices kept the caravans coming and filled up the treasures of Petra. The fact that this city had any gardens at all was a miracle – it only got 10 to 15 centimeters (4 to 6 inches) of rain a year (currently, with climate change, it might even get less). Without the techniques they invented, purifying and pressurizing and creating the ability to store water, the city of Petra might have not even existed. The people of Petra had carved out large areas of water, pools, and containers from the solid rocks. They even had “tanks” that would purify water. 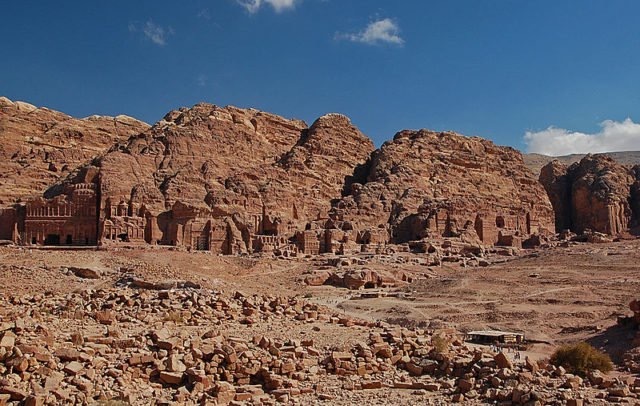 Almost every drop of rain that had fallen around Petra was collected and then conserved. The springs had been channeled to pipes that were emptied into hundreds of containers carved underground. This would ensure a reliable source of bathing and drinking water in the heart of the desert, despite the season. Botanical studies have shown that the garden was highly decorated with complex patterns. The garden was adorned with grass species and palm trees. The archaeologists as well discovered nut shells and charred seeds. The large swimming pool was larger than today’s normal Olympic pools. 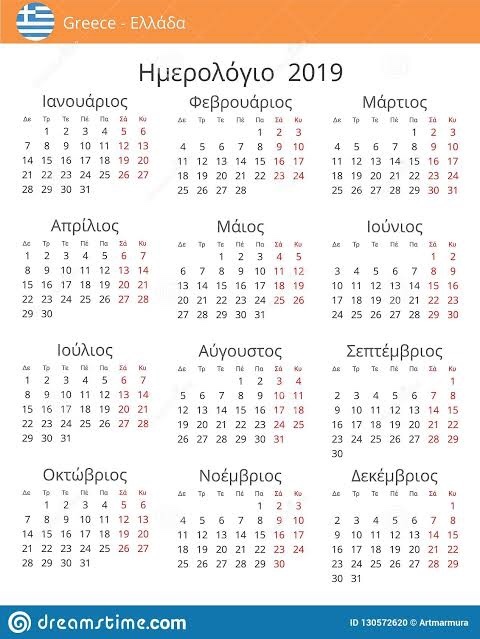 It was created around the 1st century BC. Pools started to become trendy in the region the previous century. The Hasmonean rulers of Judah created pools that were surrounded by gardens at their palaces. The Hasmonean palace located in Jericho had around seven. Herod the Great, who was the Roman vassal king of Judah, had continued the tradition. He created a large swimming pool with a sunken garden located in his third winter palace at Jericho. The Herodian design included an island structure, decorative tiles, and a large garden terrace. This was almost identical to the garden pool that was located in Petra. The citizens of Petra did not only know how to work with water, they were as well masters at stonework. The name Petra mean “Mass of Rock”; this summons the vision of stone. The city of Petra was made of stone, unlike any other city in the Roman World. The Nabataeans engraved their houses, temples, and tombs out of solid rock. 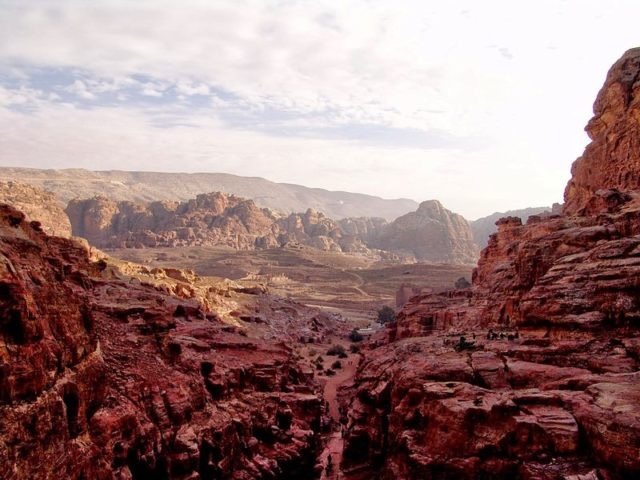 The red sandstone mountains where Petra had settled was perfectly suited for this, and by the first century BC a large city had emerged in the middle of the desert. Possibly the most stunning evidence of the Nabatean mastery over stone was the Treasury. This was an imposing structure was that carved out of a huge cliff. The structure had been named after the large stone urn that crowns the building; this had supposedly stored precious stone and gold. The urn was actually created out of solid stone. Although not what Steven Spielberg had portrayed in his movie, the structure did not guide into a deep maze that was hiding the Holy Grail. The Treasury actually was holding a relatively small hall that was once used as a royal tomb. The city as well features tombs that were carved into the cliff face. These tombs were so large that any person who wanders into them will end up venturing into their dark interiors, Haaretz reported. Petra had survived for centuries, though Rome took possession of the city in 106 BC. The importance it once had in international trade started diminish. The theater and colonnade testify to the Roman presence in the city during the first and second centuries. The Romans had developed sea lanes located to the East. Yet in time the overland spice trade had collapsed and Petra was abandoned slowly to the desert sands. It would ultimately fail to resist the end of the Byzantine Empire’s rule around 700 BC. The hidden platform has become the center of attention at Petra. Even though the building is small in size, this beautifully carved monument shows astounding attention to detail. It has been speculated that the ancient people responsible for the construction of the obelisk thrived during the era that Petra flourished as the unparalleled capital of the Nabataean kingdom. This means that its roots are likely to have been as early as mid-first-century BCE. 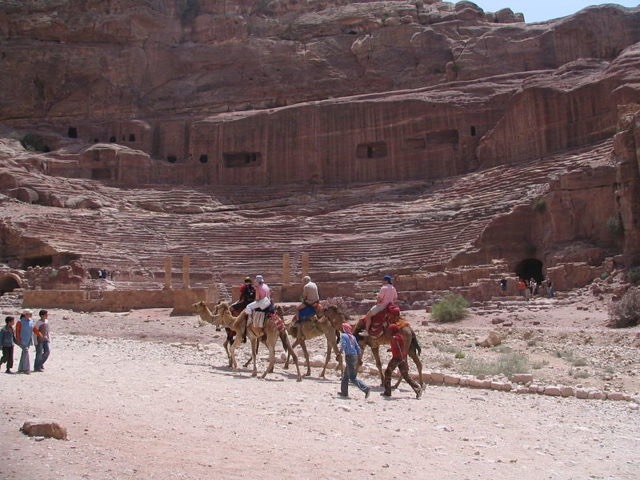 Petra was a crucial center of trade between East and West from the fifth century BC until the first century AD. As Greek and Roman civilization thrived, Petra became an important caravan center for Arabian incense, Chinese silks, and Indian spices. Being stationed at the crossroads between the Arabian kingdoms, the Egyptian Empire, and the powerful Syrian civilizations, it is easy to see how Petra played a vital role in the history of economic development at a critical time in human history. The monument further stressed that the ancient city of Petra thrived during the latter half of its existence from 500 BC to 300 AD. Most of the ruins which have been recently unearthed were built and used during the later ages of the city.